I think that at some point in their lives all children, male or female, need to believe in fairies. And not just fairies. Ogres, trolls, elves, warlocks, witches, wookies, giants and more should populate the world because to believe in the unseen, the miraculous, the mystical, is to believe that the impossible is possible. 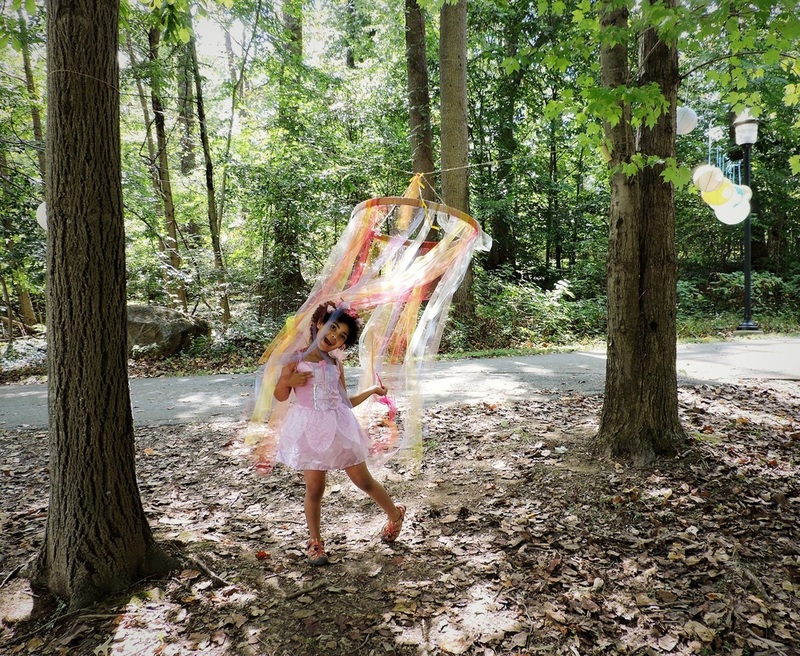 I am proud to say that my daughter believes in fairies. She also believes that love and light and beauty can change the world. 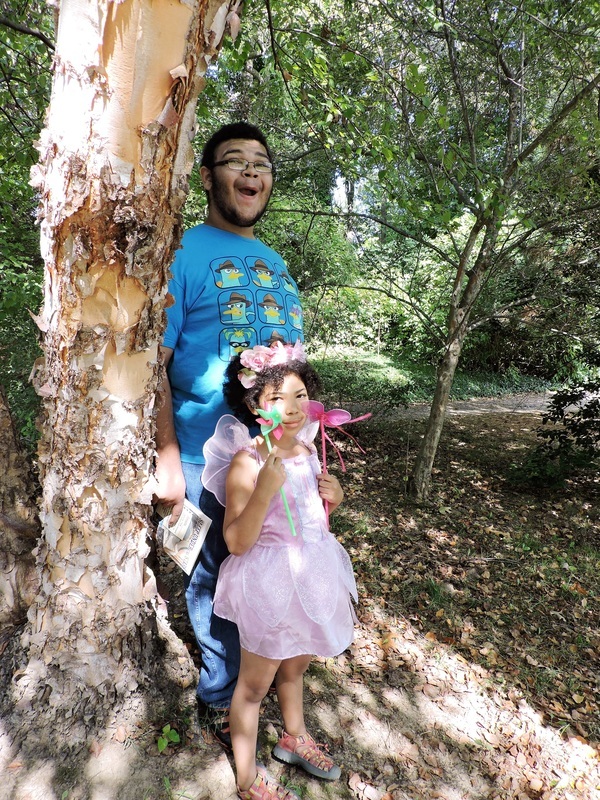 So, when we found out that there was a festival devoted to fairies happening in Wilmington, we had to go. 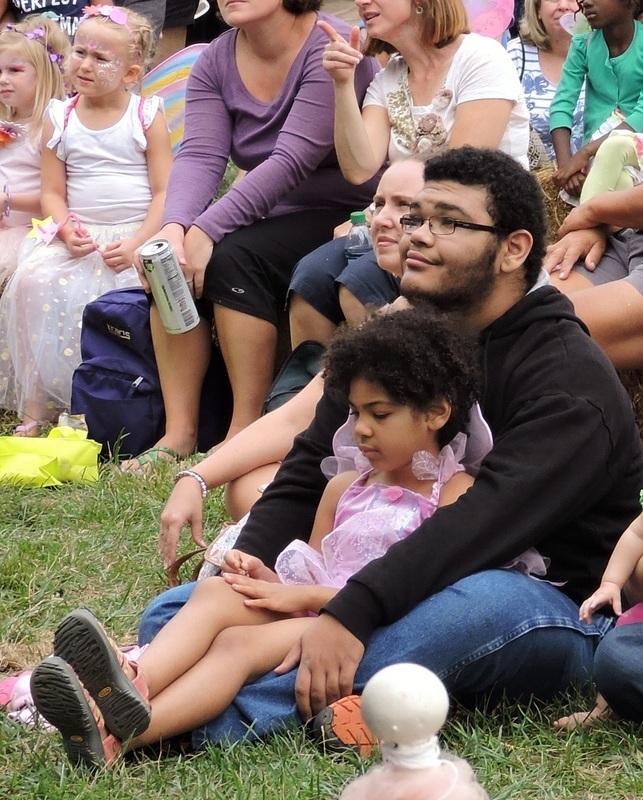 One of the best parts of the festival, aside from being surrounded by adults who were unafraid to be whimsical, was watching the kids enjoy each other's company. Here they are together watching a ballet performance put on by several local dance troupes, including one from Lady's school. The picture below was taken toward the end of the day when were were all overloaded with people. 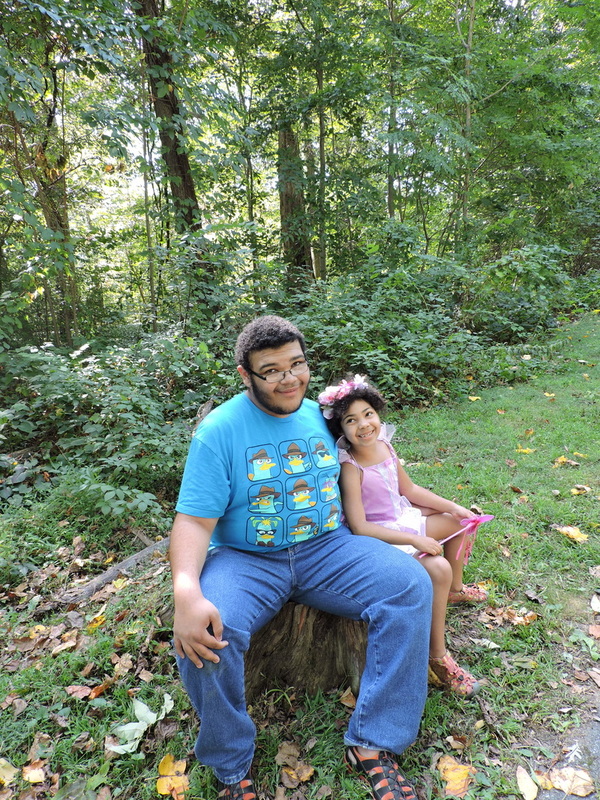 There was a nice wooded path around the Rockwood Museum where the festival was held, and we were able to just relax in the quiet for a while. Lady Chatterly was so excited that she raced from one thing to another. There was so much to do -- magic, crafts, story time, parades, dancing, music and so much more -- that we couldn't get to everything. Still it was a truly magical day.